Books about holidays have a way of capturing a child's imagination, and they can provide great educational opportunities as well as entertainment. 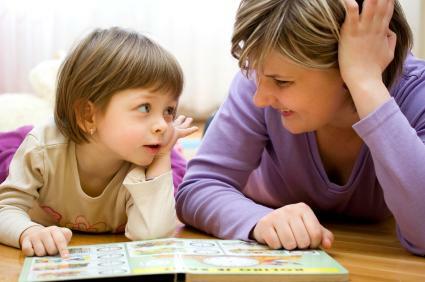 Consider adding some of the following books to your list of titles to share with your toddler, and instill your child with a love of reading. I'm Not Afraid of Halloween! I'm Not Afraid of Halloween by Marion Dane Bauer - Open the door flap and find out which spooky character lives in each house as a group of trick-or-treaters go door-to-door. Don't worry, it's all in good fun and toddlers will be fascinated with the pop-ups. 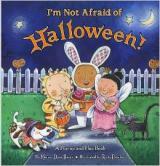 10 Trick-or-Treaters by Janet Schulman - This a counting book and a Halloween book all rolled into one. Explore traditional Halloween customs with your child as a group of 10 trick-or-treaters grows smaller and smaller. Overall, the book is amusing, and most children will love the rhyming text. Maisy Dresses Up by Lucy Cousins - This is a great book for toddlers that are just learning what dressing up for Halloween is all about. They can follow Maisy's adventure as she decides on the perfect costume. Thanks for Thanksgiving by Julie Marks - This book will help little ones learn just how much there is to be thankful for. At the end of the book, there's even a place you and your youngster can record something you're thankful for, so the book will become quite a keepsake. The First Thanksgiving by Nancy Davis - Your toddler will love lifting a flap to see what's beneath it in this Thanksgiving tale. There aren't a lot of words to this simple little book, but that leaves you plenty of room to talk about this holiday with your child. What Is Thanksgiving? by Michelle Medlock Adams - This charming little boardbook explains Thanksgiving with sing-song rhymes and adorable illustrations that toddlers will love. Christmas in the Manger by Nola Buck - This book provides a great way to introduce a small child to the story of the nativity. The illustrations are warm and colorful, and they really capture a toddler's eye. The story is told in simple rhyming verses, with words on one page and pictures on the opposite page. 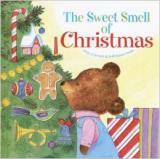 The Sweet Smell of Christmas by Patricia M. Scarry - Join Little Bear as he discovers all the wonderful smells of Christmas. Children can scratch and sniff each scent and experience it right along with Little Bear, including the fresh scent of the Christmas tree, gingerbread cookies and candy canes. A Wish to Be a Christmas Tree by Colleen Monroe - A lonely pine tree dreams of becoming a Christmas tree, but he's passed over each year until he's finally too big for anyone to take home. He begins to despair, but then his woodland friends step in and show him how much he is already loved. This is a heartwarming tale with beautiful illustrations. Toddlers will love hearing the story, but the book is also suitable for slightly older children. My First Kwanzaa by Karen Katz - Toddlers will learn about the essentials of Kwanzaa - the importance of family, friends and community. Parents will appreciate the pronunciation guide for the Swahilli words and the clear explanations of each of the seven principals of Kwanzaa. K Is For Kwanzaa by Juwanda Ford - This book is doubly useful as a primer for Kwanzaa and a tool for teaching the alphabet. Each letter is used to present a particular concept of Kwanzaa. Explore them all with your toddler, but you can also take it one letter and concept at a time. My First Kwanza Book by Deborah Chocolate - This book offers a wonderful way to introduce a young child to the principals and symbolism of Kwanzaa, as told through a family gathering. It's a lovely book to share with a toddler, but there's plenty here for a child to explore once she or he begins reading. 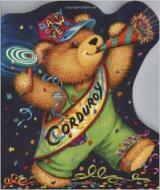 Happy New Year, Corduroy by Don Freeman - Cuddly little Corduroy is back and ringing in the new year with his friends. Read about his party and find out if he can stay up all the way to midnight. P. Bear's New Year's Party by Owen Paul Lewis - A polar bear invites his animal friends to come celebrate New Year's Eve with him. This is also a counting book that will also help you begin teaching your child how to tell time. Dragon Dance by Joan Holub - In this book, your little one will learn about the traditions of Chinese New Year. There's also a Chinese zodiac wheel in the back of the book, as well as instructions for a dragon puppet you can make with your toddler. How Do I Love You? by Marion Dane Bauer - This book was inspired by a famous poem written by Elizabeth Barrett Browning. A parent's love for a child is explained with simple comparisons from nature. Mouse's First Valentine by Lauren Thompsom - Joiin little Mouse as he follows his sister Minka around the house trying to figure out what she's up to. Surprise - she's making a valentine card just for him! Heart to Heart by George Shannon - This is a valentine story about true friendship. Mole sends a valentine to his friend Squirrel, who has forgotten about the holiday and must scramble to make a valentine for Mole before he arrives. What Is Easter? by Michelle Medlock Adams - This book explains that Jesus is the reason for Easter. It's a nice way to introduce a child to the religious aspects of this holiday. The Easter Egg by Jan Brett - Hoppi wants to make the best Easter egg in order to become the Easter Bunny's helper. He winds up saving a robin's egg and keeps it warm until the baby hatches. For his kindness, the Easter Bunny selects the little robin's eggshell, and Hoppi gets to help deliver the Easter eggs. Easter Bugs by David A. Carter - This book should be in every toddler's Easter basket. Pop-up Easter eggs reveal an assortment of adorable bugs that hold the answers to a series of questions. The Story of America's Birthday by Patricia A. Pingry - This little board book provides an easy-to-understand account of how America was founded. It's a wonderful history lesson that teaches the value of freedom. Fourth of July Mice! by Bethany Roberts - Follow the mice family as they take part in traditional 4th of July activities. Watch them parade, picnic, play games and attend the fireworks celebration. Corduroy's Fourth of July by Don Freeman - Food, fun and fireworks fill the day for Corduroy and his friends. My First Menorah by Salina Yoon - This fun book features candle-shaped pages and sparkly images that will captivate nearly any toddler. The book explains each of the eight days of Hannukah individually in the simplest terms that even little ones can understand without being overwhelmed with too much information. Where Is Baby's Dreidel? 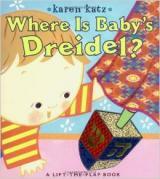 by Karen Katz - This is a fun activity book in which toddlers can help a baby search for a dreidel by looking under different flaps. Each flap reveals a different Hannukah symbol, including the menorah, presents and, of course, the dreidel. This book offers a simple, entertaining way to familiarize a young child with this holiday. Happy Hanukkah, Corduroy by Don Freeman - The beloved children's character Corduroy is back and celebrating Hannukah. Join him as he experiences all the traditions at a party with his friends. My First Ramadan by Karen Katz - In this story, a young boy learns all about Ramadan from his father. He decides he is old enough to participate in daily fasting during the month-long holy season. Sweet Dates to Eat: A Ramadan and Eid Story by Jonny Zucker - This book explains the holy season of Ramadan and Eid for young children. It follows a family as they take part in the major traditions of Ramadan and the celebration of Eid that follows it. This is just the tip of the iceberg. There are hundreds more books about these holidays and others. Visit your local library with your toddler and share the magic of reading.